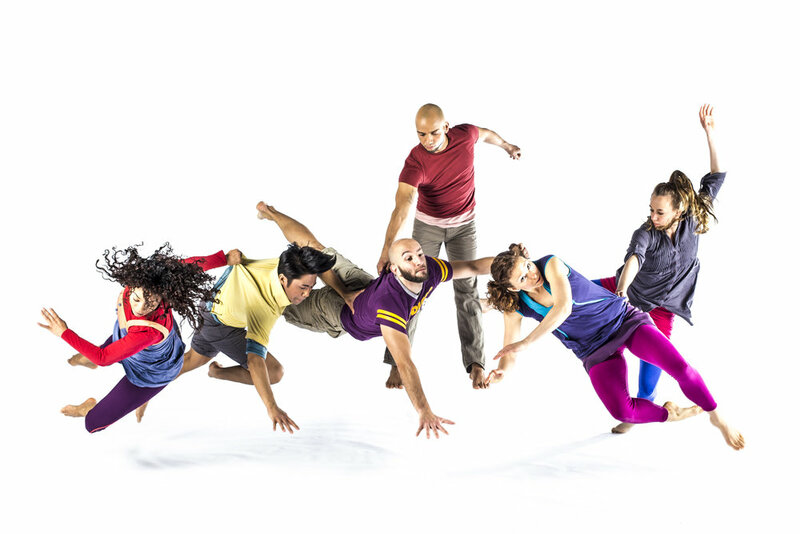 Entering its 19th year, Lucky Plush Productions is an ensemble dance-theater company based in Chicago, led by founder and Artistic Director Julia Rhoads. The company is committed to provoking and supporting an immediacy of presence—a palpable live-ness—shared by performers in real time with audiences. 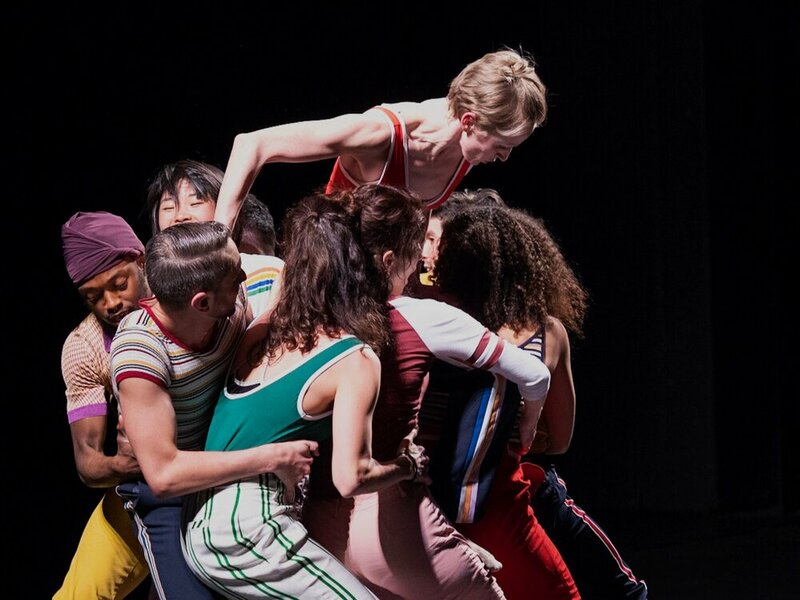 A unique hybrid of high-level dance and theater, Lucky Plush’s work is recognized for its layered choreography, nuanced dialogue, surprising humor, and socially relevant content. Since its founding in 2000, Lucky Plush has created over 30 original dance-theater works including 13 evening-length productions. In addition to regularly performing in Chicago, the company has presented work in over 55 US cities from Maine to Hawaii, and its international partners span from New Zealand to Cuba. View the company’s complete performance history. Commissioners include the Harris Theater Chicago, Krannert Center at the University of Illinois, Flynn Center (VT), Clarice Smith (MD), Museum of Contemporary Art Chicago, and more. Lucky Plush is the first and only dance company to receive the prestigious MacArthur Award for Creative and Effective Institutions, a recognition of the company’s exceptional creativity and impact. Other awards include creation, residency, and touring awards from NEA, National Dance Project, and National Performance Network; exchange awards from the MacArthur Foundation International Connections Fund; and an achievement award from the Lester and Hope Abelson Fund for the Performing Arts, and many more. JULIA RHOADS (Founding Artistic Director) has created over 25 works with the company, several of which have toured extensively throughout the US. Additional choreography credits include Hubbard Street Dance Chicago, Steppenwolf Theatre, Lookingglass Theatre, Redmoon, and River North Chicago Dance Company, among others. She is the recipient of an Alpert Award in Dance, fellowships from Maggie Allesee National Center for Choreography, Illinois Arts Council, Chicago Dancemakers Forum and the Jacob K Javits Foundation, and her innovative arts management practices have been recognized through a Fractured Atlas Arts Entrepreneurship Award and a MacArthur Award for Creative and Effective Institutions. She received her BA in History from Northwestern University, her MFA in Performance from the School of the Art Institute Chicago, and is currently a Lecturer and Dance Advisor in Theater and Performance Studies at The University of Chicago. Rink life is a New England Foundation for the Arts’ 2018 National Theater Project Awardee! In communities with roller rinks (which are increasingly rare), LPP hopes to perform part of the work at the rink alongside featured local skaters or historians with knowledge about the venue. LPP will invite members from a local choir to join the performance as “extras” in the show during key moments, heightening the show’s vocal score and creating a highly communal experience. 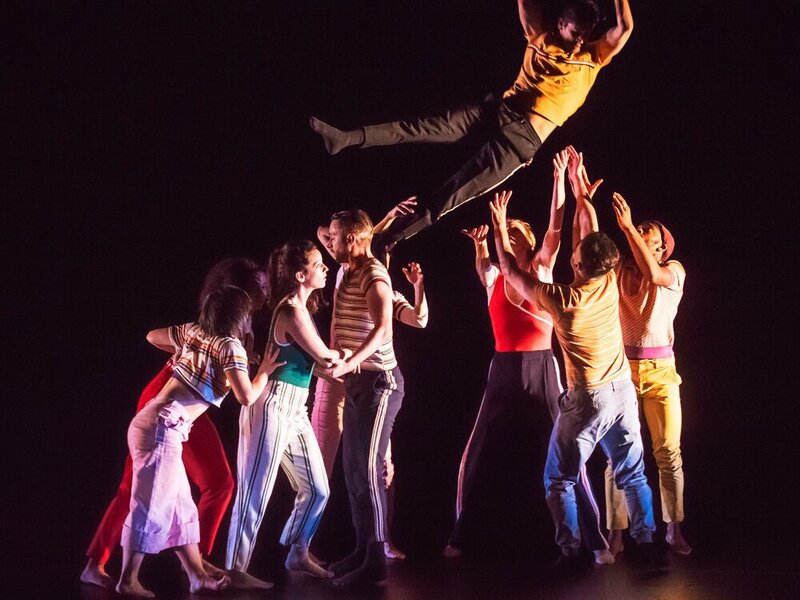 While more traditional, some of LPP’s deepest engagement occurs through interdisciplinary based workshops (at all skill levels) in which the company shares its methods for crafting uniquely hybrid dance-theater work. COMMUNITY ENGAGEMENT: Drawing from the creation process for Rooming House, Lucky Plush invites participants to “play” a handful of stories based on personal experience and current events. This live-action game will set in motion playful and profound interpretations and understandings of the stories we tell: who has agency around life-changing events and what compels us to behave the way we do (is it fear, guilt, love)? Cinderbox takes its cue from the media’s voyeuristic approach to “reality” to explore the comedy and anxiety in our hyper-networked culture. With a specific curiosity in the purportedly unscripted and fly-on-the-wall observational style of reality TV, the work both exploits and makes indistinct the live and virtual, private and public, observer and observed, improvised and choreographed, and the highly presentational and minutely subtle. Athletic choreography, video, dialogue, and a “show within a show” characterize this complex and interactive environment shaped by the media technologies that alter our perception of how reality is generated. take a peek at more lucky plush works!